5 Ways to Achieve Deep Connection in your Relationship. Above all else, we seek DEEP CONNECTION with other people and the universe. The most fulfilling loving relationship is one in which two people are intimately connected with each other. The two individuals are separate but connected. It is our nature to be connected. If we do not feel connected it is because something has happened to us to rupture our awareness of the connection. A lot of couples go into therapy because they do not feel connected. The primary reason is usually because they did not experience it in childhood. This could go back to the first eighteen months of life! 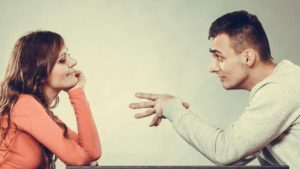 Unhappy couples often have what we call a ruptured connection. In order to feel connected you have to feel safe. You cannot stay connected if there is a lot of negativity, fear of being abandoned or fear of being overwhelmed. When couples first fall in love they feel very connected because their subconscious material has not yet surfaced. When there is tender attention like at the beginning of a relationship, this brings a strong feeling of connection. Holding each other frequently creates a strong connection. You go to a nice quiet restaurant with a carpet on the floor and only soft music. The person the most charged will speak first using non-violent communication and speaks for 8 minutes straight. The person listening must follow these rules: No interrupting, no commenting at all, no making faces, no rolling of the eyes, no rehearsing a rebuttal. After both are totally HEARD, then a nice discussion is possible with a deep connection having been made. What I see you struggling with is _____________. What do you need the most from me? ______________. One way I can help you is _____________. Another way I can help you is ________________. Together we can overcome this. 3) Spend Fun Time Together, because the purpose of Life is to have PURE JOY. You may make a lot of money and still lack the inner JOY that is the whole point of Life. 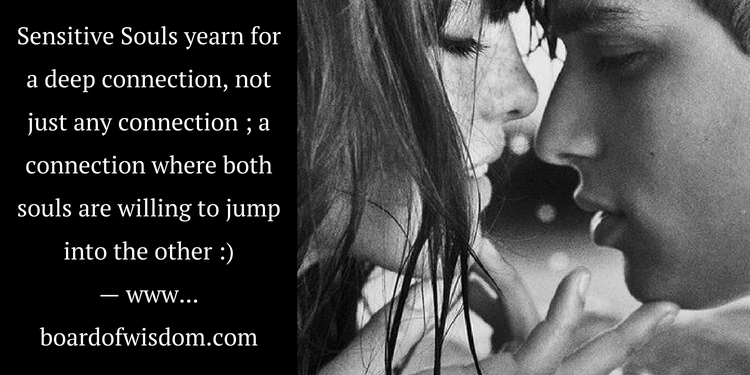 When all is said and done, are you experiencing JOY with your partner? If not, Why NOT ??? This is the #1 purpose of being together. What do you do together that brings you both JOY? This is essential to having a Deep Connection. Make a list with your partner. One begins, then switch, and the other gives input. One thing that brings me JOY is __________. Another things that brings me joy is ____________. Another things that brings me JOY is _____________. NOW we are committed to do these things together, or find ones we can do together. If one partner gets the most JOY from playing Golf, and the other partner hates Golf, then that is obviously not the thing you will do together. But it is up to you to find a mutual JOY if your really want to establish a Deep Connection. 4) Align on priorities because these will be the things you give most of your attention to in Life. It might be having kids. It might be your careers. It might be your spiritual calling. It might be your social life. It might be your creative projects. There are many priorities. Markus and I have our spiritual evolution as a priority. This is why we travel all over the globe teaching about relationships and spiritual connection to many people. This is one of our priorities to uplift humanity. Come up with your own. It could be as simple as stating them to one another : Priority #1, Priority # 2, Priority # 3. You would be amazed at how much energy this will give to having a Deep Connection when you are both aligned on your priorities. 5) Love what you do together, and separately. When two people love what they are doing, are fully engaged in their life, in their Purpose for being here, then Deep Connection has to happen. It is good if you both love the same things to do, because that means you will spend more quality time together. Markus and I are together 24/7/365 engaged in what we love to do: writing books, creating, teaching, traveling, giving Liberation Breathing sessions to people, and focusing on loving relationships around the world. We realize not everyone can have this luxury of 24/7/365 togetherness. In fact, some couples would “go crazy” spending that much time with their mate. But we love being together more than anything else, so it works for us. Just to be clear, make a list of what you love to do together and separately, and then start doing it. What I love to do is ____________. What I really love to do is ____________. And just keep adding to your list until you have enough to do together for eternity! Another great way to achieve Deep Connections in your relationships is to attend the Loving Relationships Training. CLICK HERE to find where the next ones are in the world. Or schedule a Liberation Breathing Session with us to get clear on having a Deep Connection.